← Antandros — Was the ship that Paul traveled on to Rome constructed here? 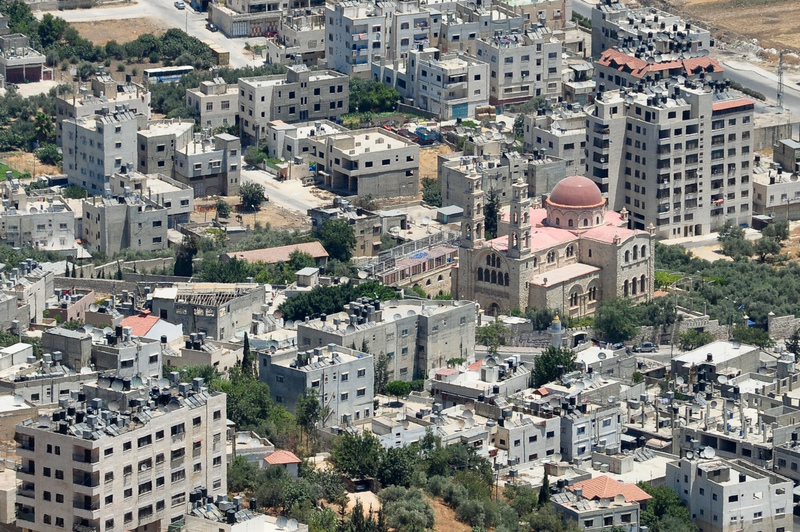 Just to the northeast of the modern city of Nablus is the small suburb of Askar (New Testament Sychar). 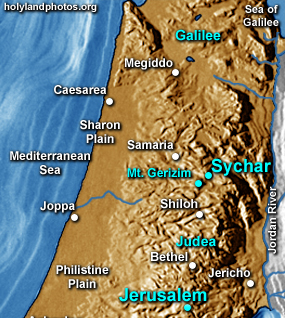 It was in the vicinity of Sychar that Jesus met the Samaritan Woman at “Jacob’s Well” (John 4 and especially 4:12). 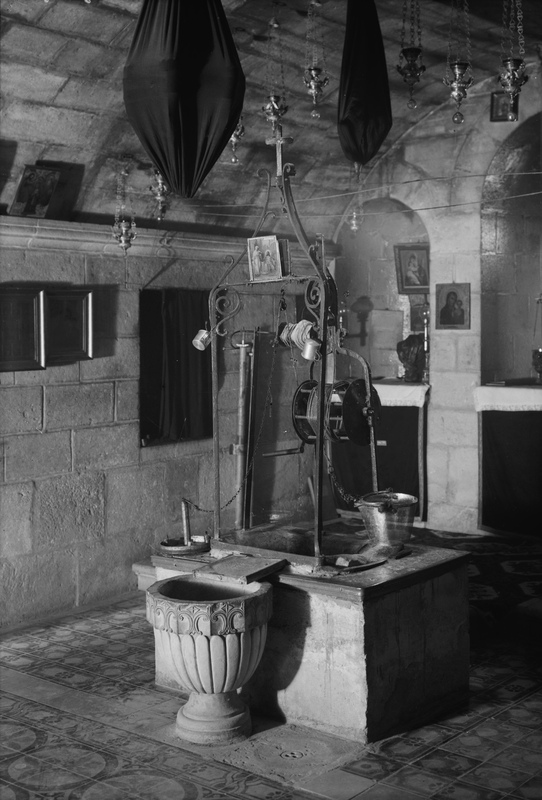 In 1860 the Greek Orthodox purchased the property and restored the crypt that included the famous 75 ft. deep well. Although the foundation and walls of a church were begun in the 20th century, the church was not completed until 2007. 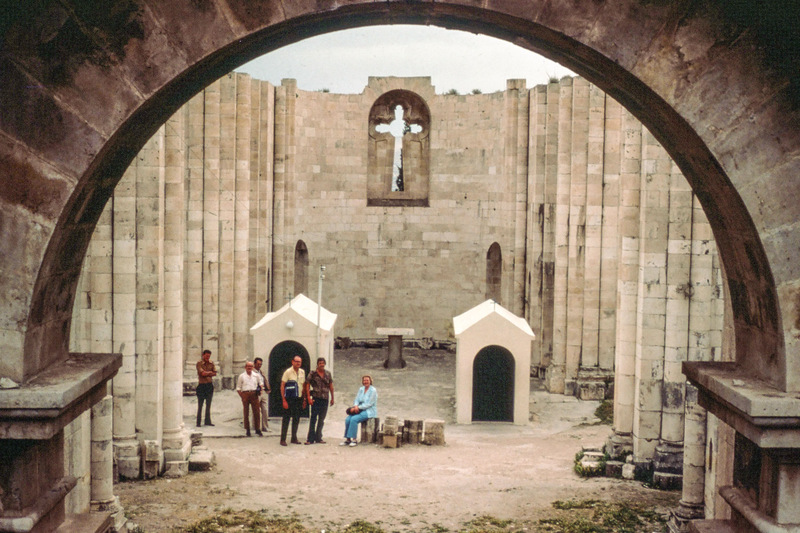 View of the uncompleted interior of the Greek Orthodox Church in the 1970/s. The “outhouse-looking” structures are the entrance and exit to the subterranean well. The image below is the current beautiful interior of the Greek Orthodox Church. In the image above note the iconostasis and especially the two staircases down to the well. Compare the current state of the church with its prior status pictured above! 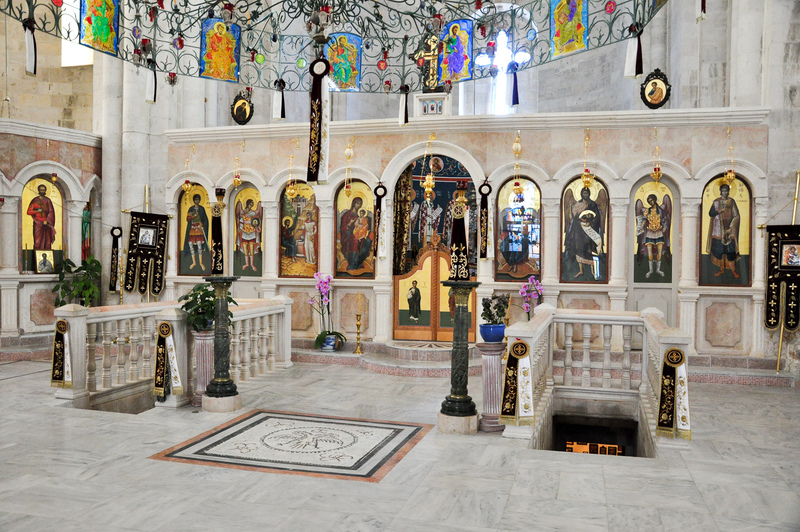 View of the grotto and the well head that is located under the altar area of the Greek Orthodox Church (ca. 1934). — This picture is from the Matson Photograph Collection, Library of Congress, call number LC-M32-A[P&P]. Tradition has it, that this is the spot where Jesus, at mid-day, met the Samaritan woman who had come to draw water (John 4). View looking down from Mt. Gerizim, where the Samaritan Temple was built, at the Greek Orthodox Church built over the site of “Jacob’s Well” (see John 4). This entry was posted in Churches, Daily Life, Israel "Modern", Places in Palestine and tagged Greek Orthodox Church, Jacob's Well, John 4, Nablus, New Testament Sychar, Sychar. Bookmark the permalink.